Gov. 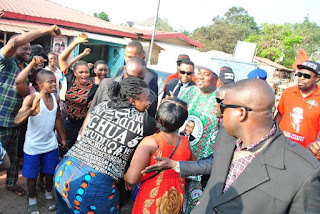 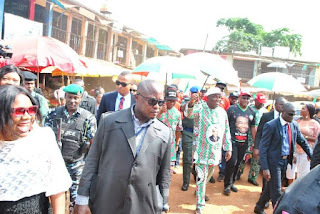 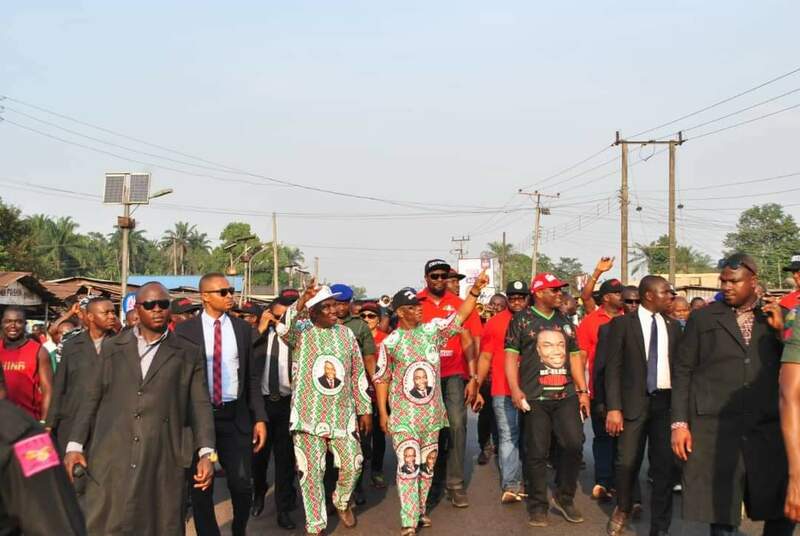 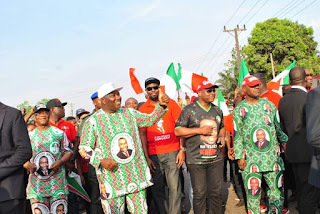 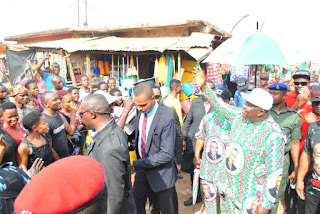 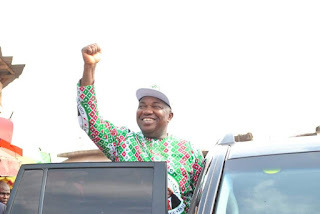 Ifeanyi Ugwuanyi of Enugu State and governorship candidate of the Peoples Democratic Party (PDP) excites Enugu residents with intense door-to-door campaign. 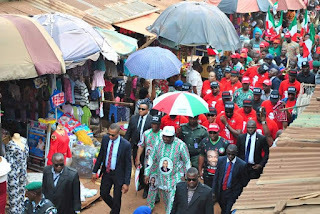 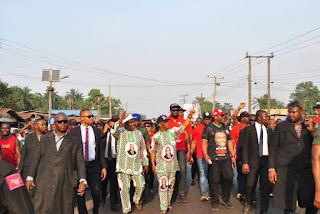 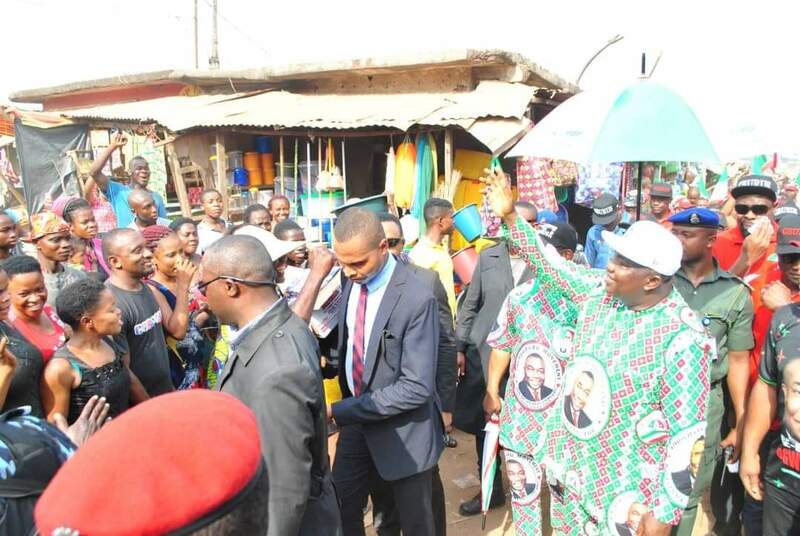 Visits Owerri Road, Artisan Market, New Haven Market, GSM Village, Aria New Market, 9th Mile Corner, Udi Town and Four-Corner Junction, canvassing for votes ahead of the forthcoming general election.